Get together for business or leisure at the Clarion Inn and Suites hotel in Orlando, FL. Our smoke-free hotel is near Universal Studios Orlando and Islands of Adventure. 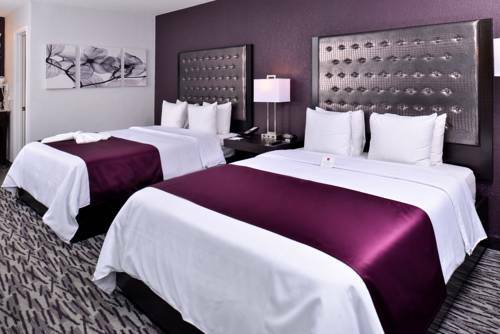 Enjoy our amenities that include free hot breakfast, free WiFi, free weekday newspaper, free coffee, free parking, indoor and outdoor heated pools, a fitness center, restaurant, guest laundry, valet cleaning, meeting rooms for 120 and copy and fax services. Each comfortable guest room features a Flat-Screen TV, clock radio, coffee maker, hair dryer, iron and ironing board. Select rooms offer a kitchenette, sofa sleeper, desk, table and chairs. Also, earn rewards including free nights and gift cards with our Choice Privileges Rewards program.